Every patient is unique, and individual situations will need to be evaluated by your surgeon. Typically, however, the recovery process takes roughly three months to complete. Your doctor will help determine when you are able to bear weight on the lengthened limb/limbs. The first few weeks will usually involve you taking prescribed pain medication and/or other pain management techniques. It is also exceptionally important to take supplements to increase your body's calcium and vitamin D, as those are the two main components of bone material. This will aid in helping the bone growth to fill in the gap created by the surgery. One of the most important aspects of recovery is physical therapy. Why is physical therapy important for recovery? 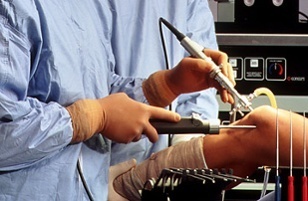 During surgery, an adjustment to the length of the bone is made. As your limb or limbs lengthen, these muscles, ligaments, and tendons will need to stretch to conform to the length change. To help stretch and strengthen the new growth your body is producing, physical therapy will help teach you how to appropriately train your body and ensure your range of motion is kept to a normal standard. A professional physical therapist will give you the motions to practice. This will make healing as simple of a process as possible, and lead you on to a happier life. It is of utmost importance that patients follow through with all physical therapy guidelines and procedures, as the therapy is what will help establish strength and range of motion, enabling you to become independent again with your new limb growth. Your physical therapist will give you stretches or exercises to complete at home as well as in formal therapy settings. Doing these exercises two to three times per day will allow you to heal quickly and efficiently. When considering limb lengthening surgery, weighing the pros and cons is an important task. The recovery process could seem daunting to someone without need for the surgery or fails to research how recovery takes place. Those who suffer from the mental and emotional turmoil resulting from uneven limb growth or those who are considerably shorter than their peers understand that the results of roughly three months of dedicated work will result in a lifetime of positive change. By following your surgeon and physical therapist's instructions, this positive change could take your life to new heights!